If you live in Northeast Ohio, you may want to head to downtown Cleveland this Saturday. 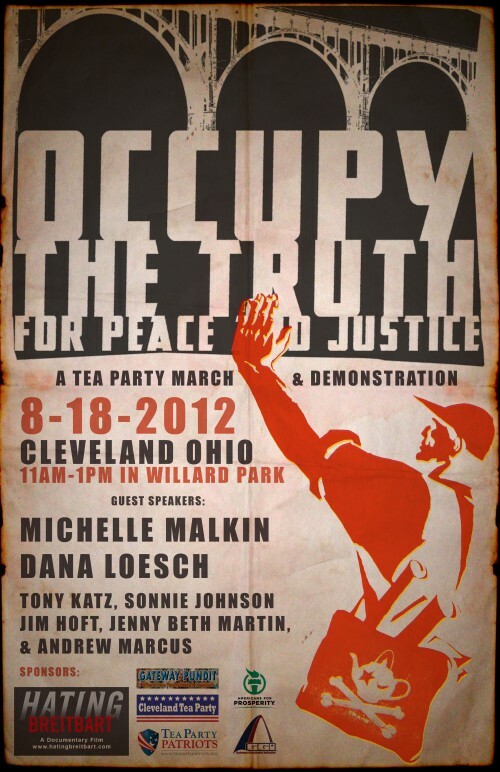 There’s going to be a Tea Party themed rally at the former site of Occupy Cleveland, the movement that spawned 5 would-be domestic terrorists who attempted to blow up a highly trafficked bridge. In a background document posted online, Occupy the Truth organizers explain that the event is motivated by the failure of national media outlets including USA Today and CBS News to report extensive ties between Occupy Cleveland and the five alleged terrorists arrested in an April 30 FBI sting. Additionally, Associated Press reporting – carried in newspapers across Ohio and the country – buried the Occupy Cleveland connection and presented without question an Occupy Cleveland denial that the alleged bombers represented the group’s beliefs. The event is at Willard Park from 11:00 AM to 1:00 PM. If you can volunteer or need more info, contact the Cleveland Tea Party Patriots. Hope you can make it!